Flag Hill grows about 13 acres of grapes, as well as 48 acres grain, including rye, barley and corn! 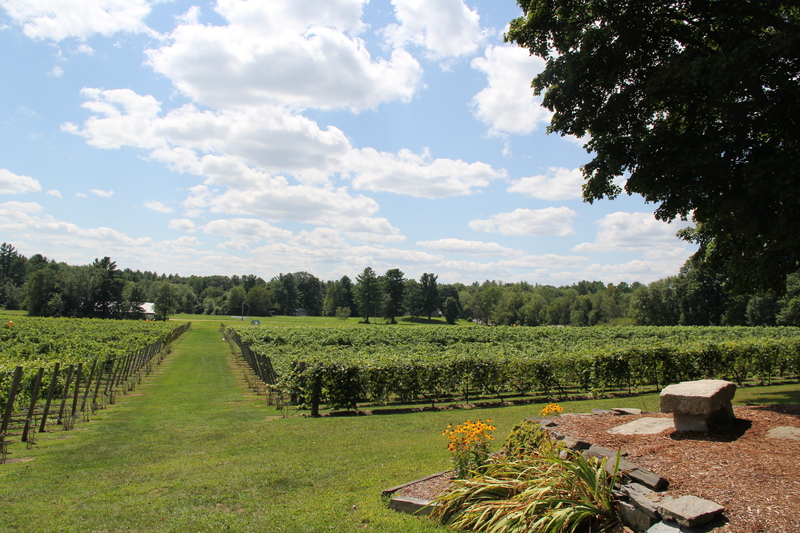 Flag Hill produces wines and spirits from grapes and grains grown on site in Lee, NH. Add some large black pigs, chickens and a greenhouse that grows a variety of vegetables and you have quite the farm! fruit wine, red and white grape wine, spirits and liqueurs. Herb Garden including rosemary, thyme, oregano, sage, basil and mint!